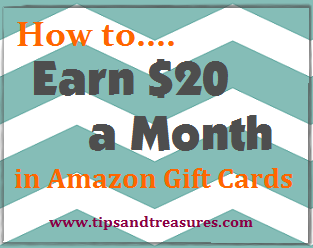 Tips & Treasures: Enter to win a $100 Walmart Gift Card!!! 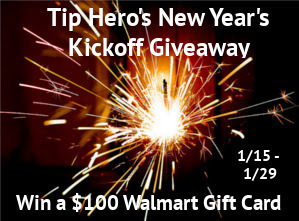 Enter to win a $100 Walmart Gift Card!!! Disclosure: Tips & Treasures is not responsible for prize distribution. If you have any questions or concerns, please send an email to kira@tiphero.com. All entries are optional, but if the winner task is a task that you did not complete, a second winner will be chosen. Winners will be notified via email. 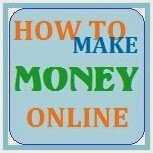 If a winner does not respond within 48 hours of the time when the email is sent, another winner will be chosen.